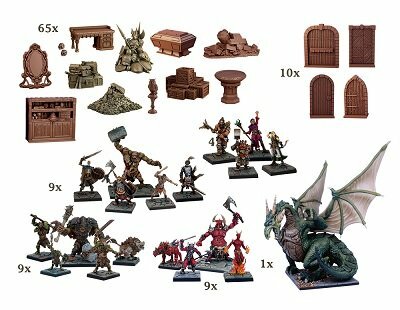 This new set is an extension of our hugely popular TerrainCrate range of fantasy scenery. 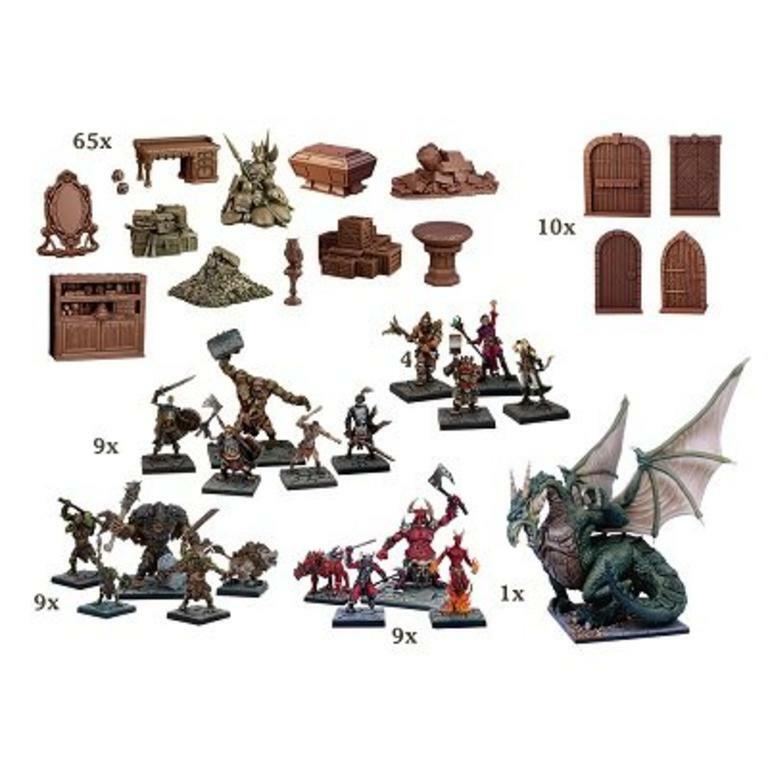 Following its official retail launch this year, one of the pieces of feedback Mantic received from customers is that they wanted to see some fantasy miniatures included alongside the scenery. 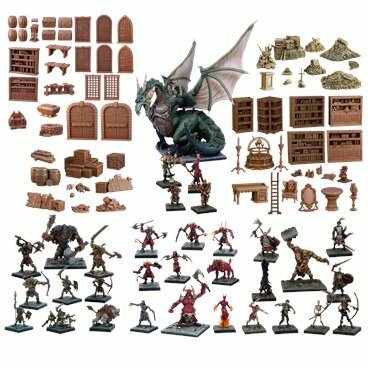 Of course, once a GM has bought this kit, they can expand their selection with more of the TerrainCrate range that you have on your shelves. 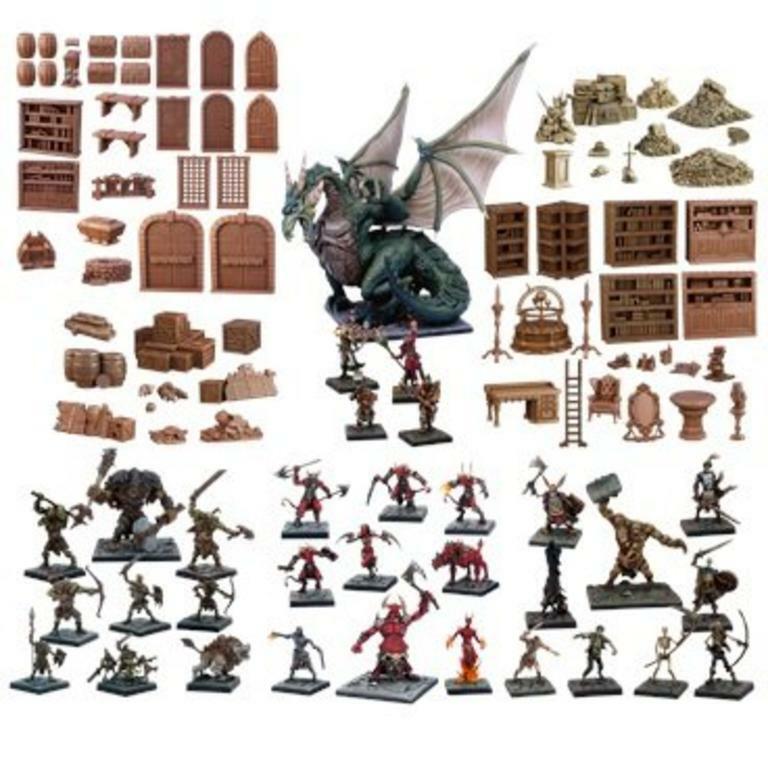 Miniatures are supplied assembled but unpainted. Dragon and Moloch require some assembly. Not all contents shown here.